Surprise Youth Foundation is committed to acting as a leading resource and coordinating presence for Surprise-area youth assistance. 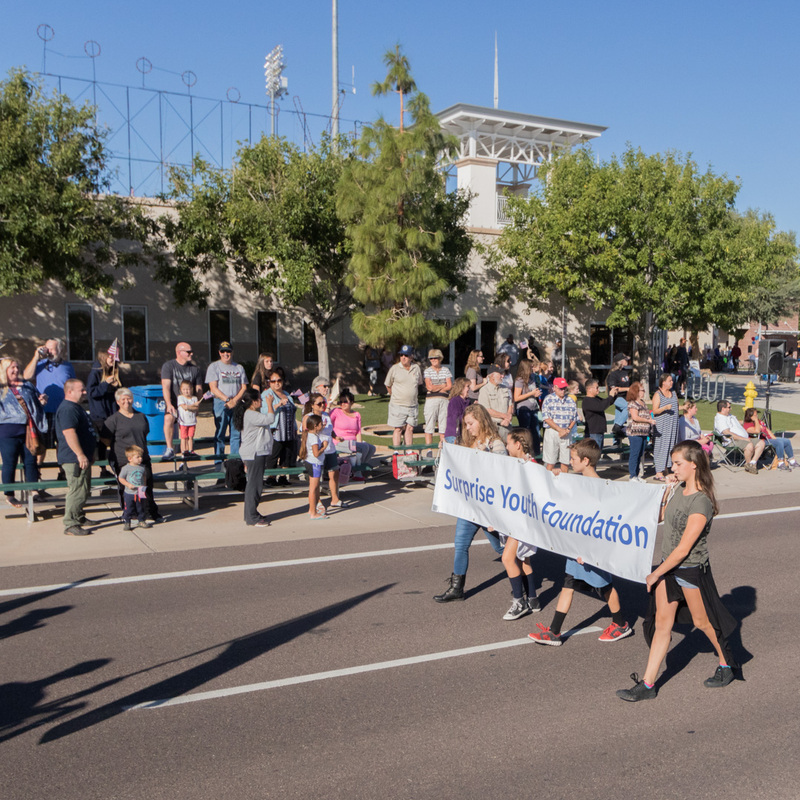 SYF was represented with two cars in the parade this year to celebrate and honor our Veterans! Thank you to our Youth volunteers, and the Veterans who walked and rode in the parade! Thanks to the Rotary Club of Surprise and the patrons of the second annual Taste of Surprise festival! 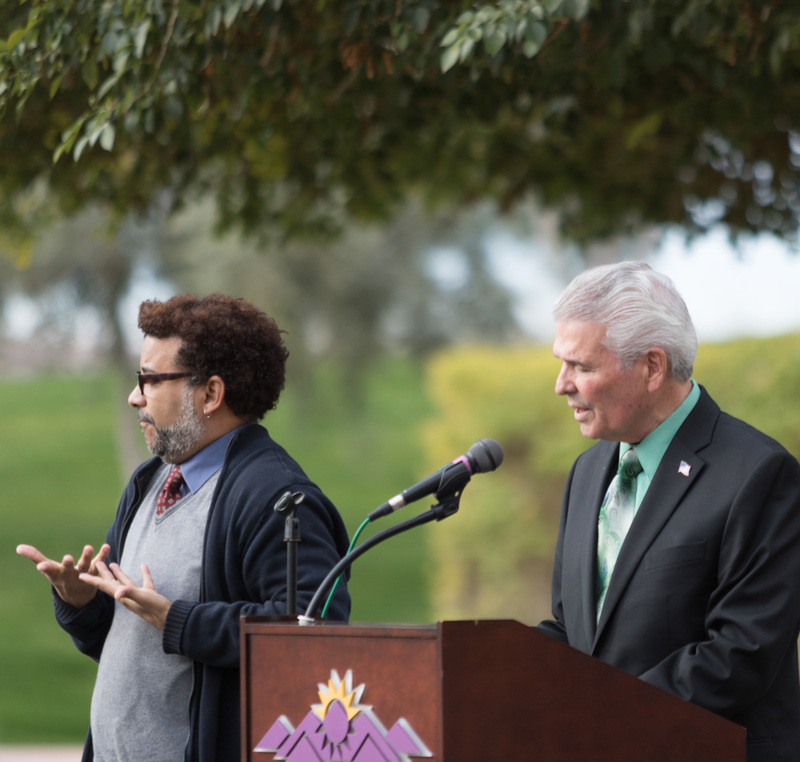 The Surprise Youth Foundation was proud to be involved with the Taste of Surprise food festival again this April, put on by the Rotary of Surprise. Thank you to all our volunteers and to everyone involved in organizing this amazing charity event, and to the community for coming out to explore local food while supporting local causes! 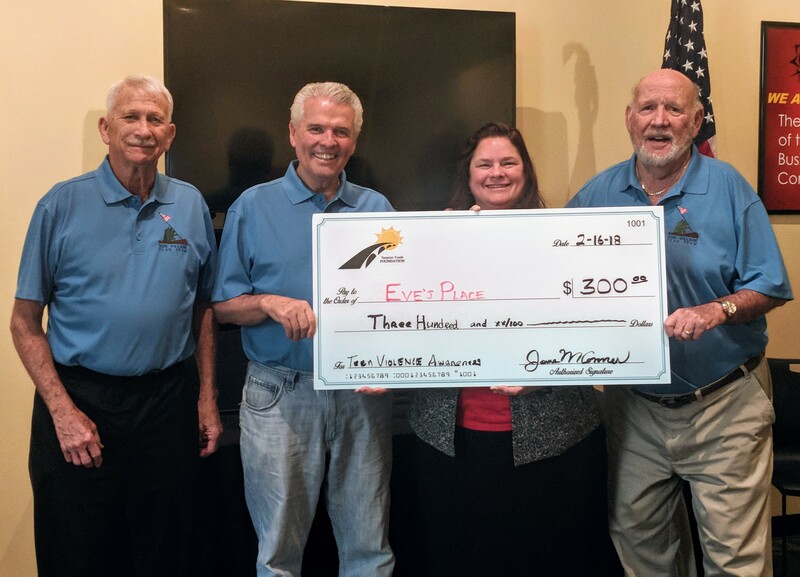 SYF distributed $300 to Eve's Place to support ongoing social awareness campaigns which directly impact the High-School age youth of Surprise. 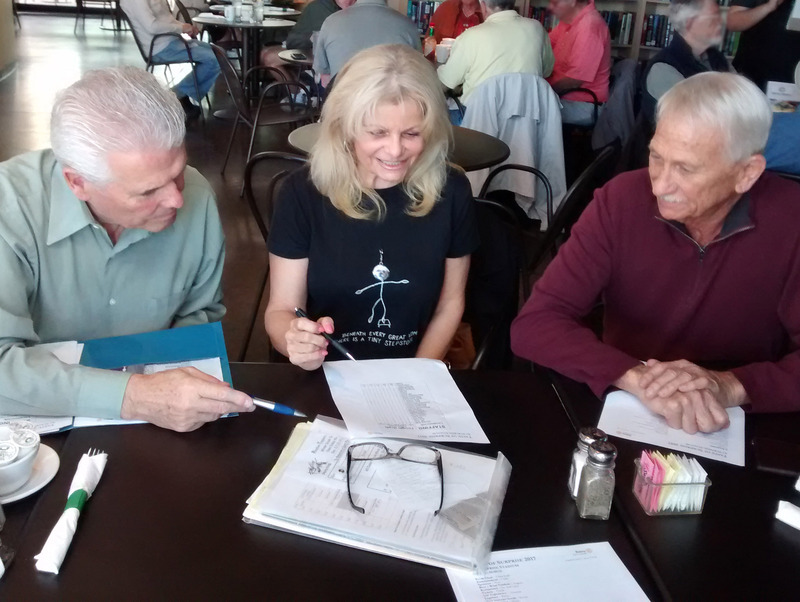 We thank Eve's Place for their commitment to the under-served in the northwest valley. 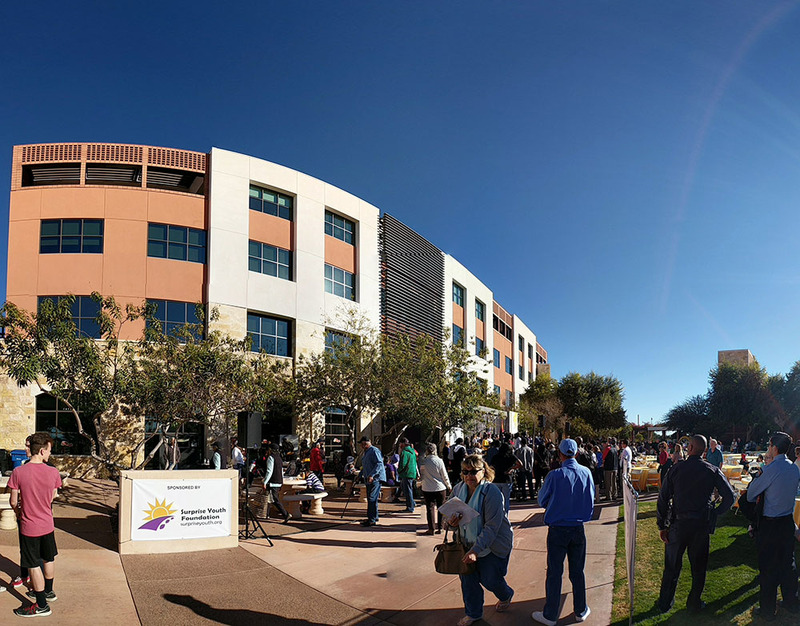 SYF once again attended the City of Surprise Martin Luther King Jr. Day of Service, on January 13th, 2018. This year we helped sponsor the event. 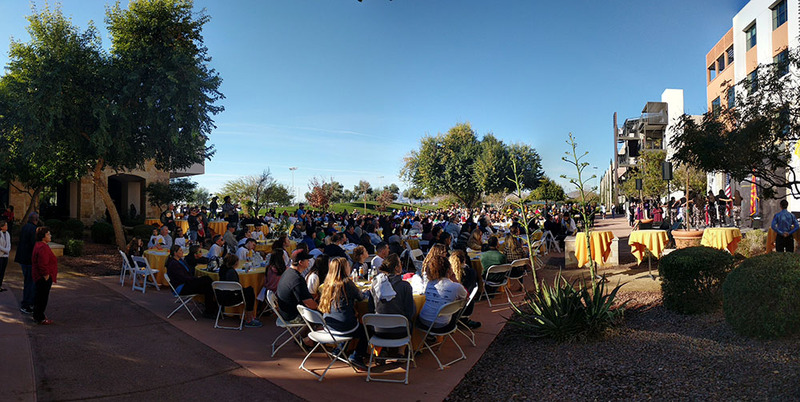 Lots of great performances and speeches were made at breakfast before volunteers dispersed to serve the community. Thanks to all involved for your support and camaraderie! SYF again had a car in the parade to celebrate and honor our Veterans! Thank you to our Youth volunteers and the Veterans across the country on their special day. 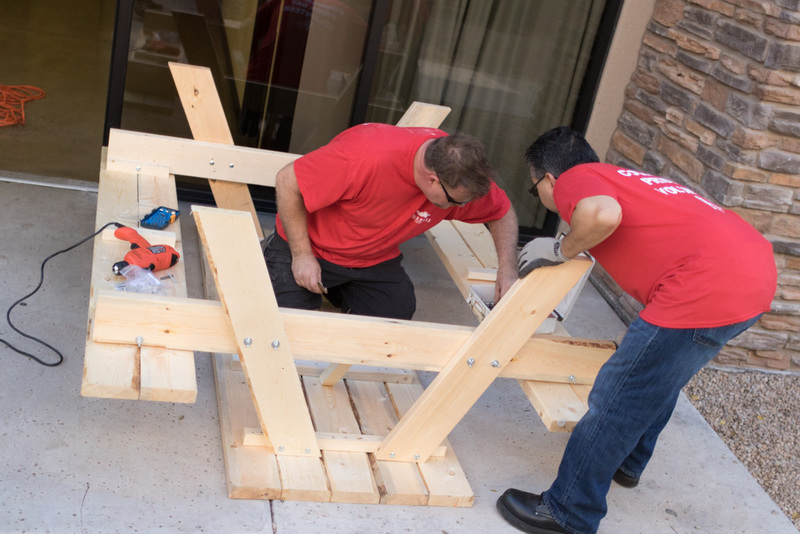 The Foundation looks forward to coordinating volunteer opportunities to both serve and allow to serve veterans and other community in the future! Surprise Youth Foundation took in many carts of donated goods for Kingswood Elementary this Friday, including an All-In-One PC donated by the hosting Wal-Mart location! Photos can be seen on our facebook page. Thank you to the community and the volunteers who made our Fill-The-Bus event a success! The final tally is 14 carts and many cases of water & assorted Frito Lay snack packs which are on their way to the school. For the first time there was over $200 in cash contributions compared to about $60 last year. Also, Walmart donated an All-In-One HP Computer to the school; a value of almost $400. I can’t thank the Volunteers enough for their contributions to the event. Bob Wingenroth, City Manager for the City of Surprise and Roland Winters, Councilman from the 1st District, City of Surprise; Michele Smith and 2 volunteers, from Eve’s Place; Zachery Fountain, Dysart Schools; Jeremy St. Germaine, Principal of Kingswood Elementary School along with several Teachers and Students; Patricia Bates and Mark Harpur from The Surprise Youth Foundation. Although the Store was under-going a complete and total remodel we had unbelievable support from David Hakhamian, Walmart Store Manager and his Staff. The outpouring from Residents and Shoppers was extraordinary and the Surprise Youth Foundation would like to thank all who participated whether Volunteer or Contributor. Thank you to everyone who donated and to the teachers, students and administration who showed up to help! Thanks to the Rotary Club of Surprise and the patrons of the Taste of Surprise festival! 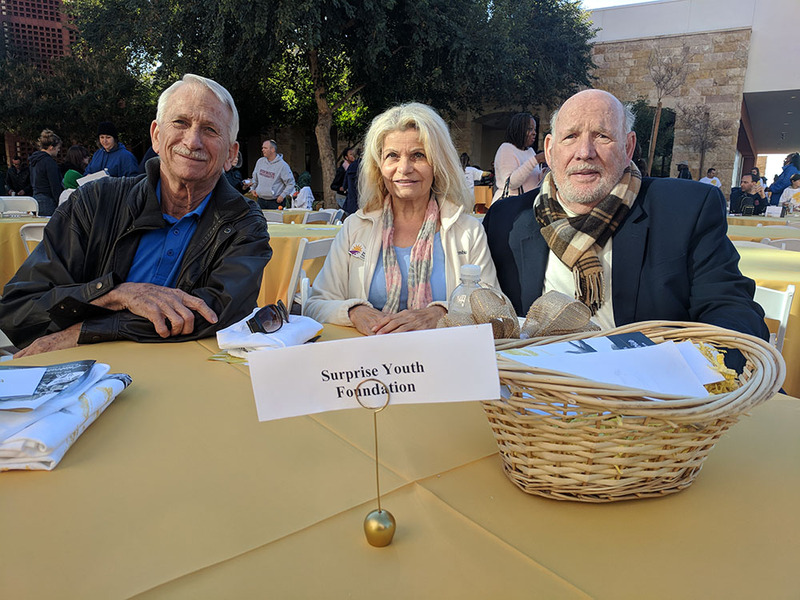 The Surprise Youth Foundation was proud to be involved with the Taste of Surprise food festival in April, put on by the Rotary of Surprise Thank you to all our volunteers and to everyone involved in organizing this amazing charity event! We've been busy with helping the Taste of Surprise. Our Foundation will benefit from this event - let us know if you would like a ticket as we also benefit from tickets we sell. $35 / Each ticket Or $75 for VIP. Go to tasteofsurprise.org for more information about this fun event, or Contact us directly. Get your tickets before April 8th, 2017! 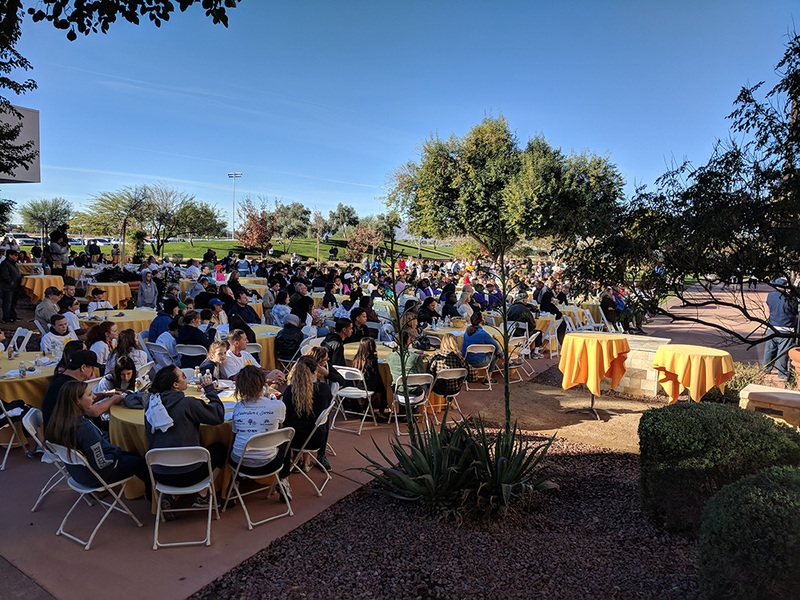 SYF participated in the celebration and community service opportunities at the City of Surprise Martin Luther King Jr. Day of Service. on January 14th, 2017. 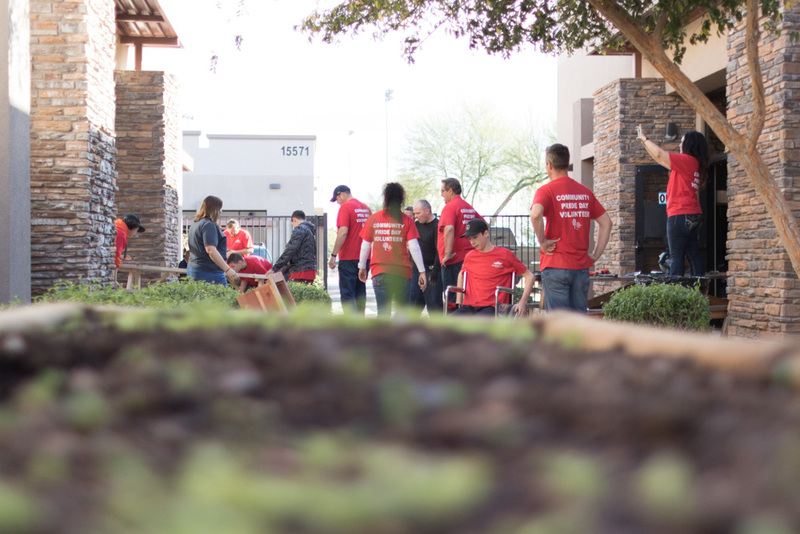 We assisted members of the Surprise Rotary Club and a delegation from Dysart's Shadow Ridge High School in improving the garden space for our partner, One Step Beyond, Inc. Thank you to all who came out to help improve our community via service and comraderie! SYF donated $650 in total to 13 area foster families in order to provide for Thanksgiving dinners. SYF had a spot in the parade to celebrate and honor our Veterans. Thank you to our Youth volunteers and the Veterans across the country on their special day. 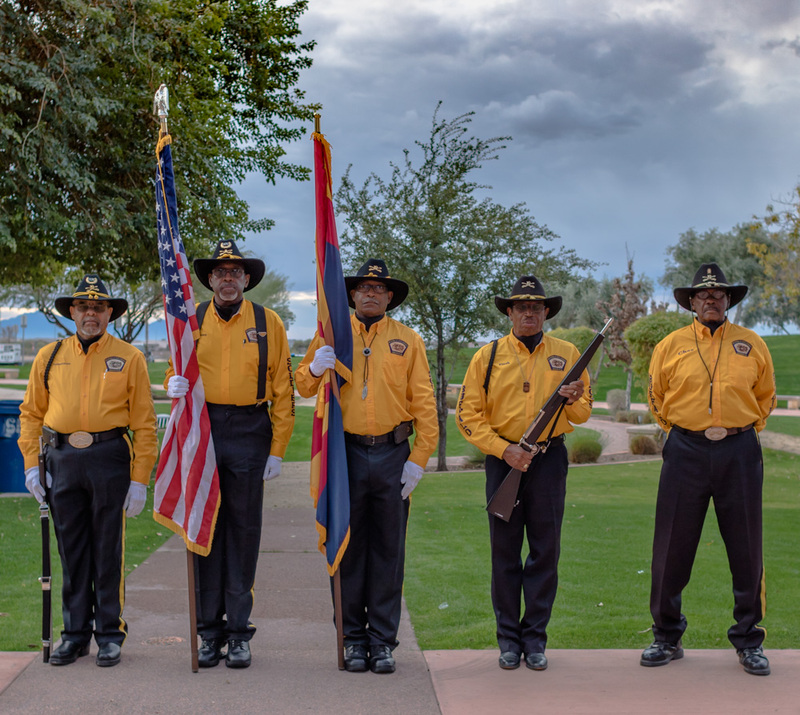 The Foundation looks forward to coordinating volunteer opportunities to both serve and allow to serve veterans and other community in the future! 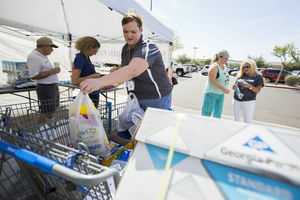 Expecting 12-15 grocery carts full of donations at most, Surprise Youth Foundation received 18 Saturday, Mr. Johanson said... "We filled (the bus) with everything from the carts and had some snacks left over that we sent to the school," Mr. Johanson said. 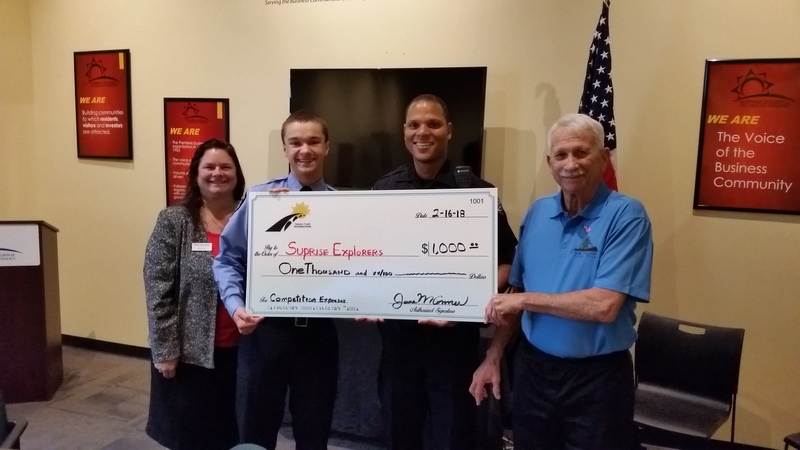 SYF works in partnership with but is a seperate, independent organization from the City of Surprise. All text and images on this page; and the thoughts, language and positions herein do not necessarily represent those of any municipal government.